Mull Eagle Watch Mull Eagle Watch returns! 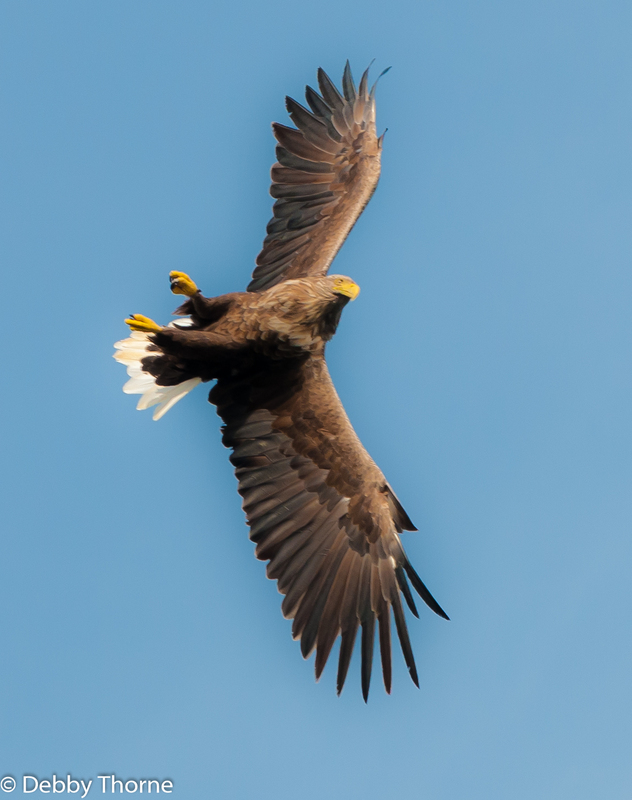 I am delighted to report that Mull Eagle Watch re-opens for business on Monday 4th April 2016. This year we are pleased to report that we will be running from 2 sites on Community Forest Land. The first site is at Tiroran, home to Fingal and Iona who many of you will already know and stars from the series The Hebrides. Fingal and Iona have made their home in the South West Mull & Iona Development Trust Our second site is at West Ardhu where a pair of sea eagles (names to follow) have made their nest in the community forest owned by North West Mull Community Woodland As in previous years, booking is essential through our friends at VisitScotland Craignure Office by calling 01680 812556. The cost is £8 adults/£4 children and £20 family ticket (2A/2C). We recommend sturdy footwear, and warm, waterproof clothing as the weather can suddenly change. Well behaved dogs welcome. The Community Rangeris Stephanie Cope and we both look forward to showing you these magnificent birds and telling you their incredible story! The other partners in Mull Eagle Watch are Mull & Iona Community Trust, Scottish Natural Heritage, Police Scotland, Forestry Commission Scotland and RSPB. I look forward to keeping you up to date with the events this year and hopefully will meet some of you in person. Hi Debbie - is there a webcam this year?